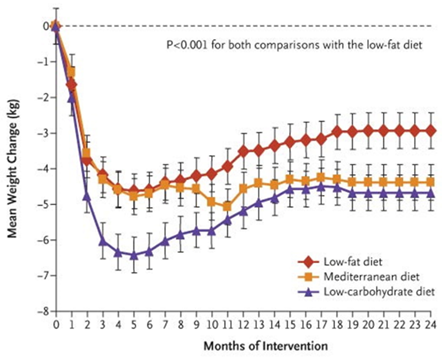 Regarding glucose and insulin levels: 36 participants had T2D and only those in the Mediterranean group had a decrease in fasting glucose, which was significantly different compared to the low carb group. Insulin decreased significantly in all participants and in all groups, with no difference between groups. 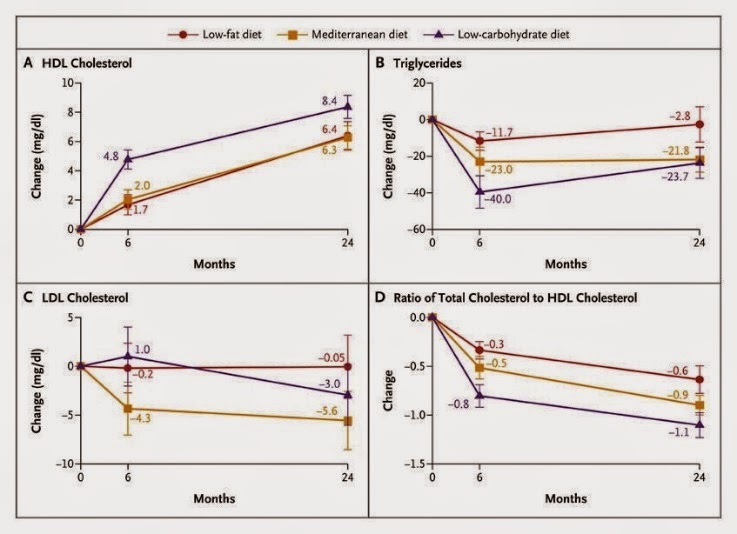 Insulin resistance improved among the T2Ds in the Mediterranean group and was significantly greater than the LFD. HbA1c significantly decreased in the low carb group but not the low fat or Mediterranean groups.